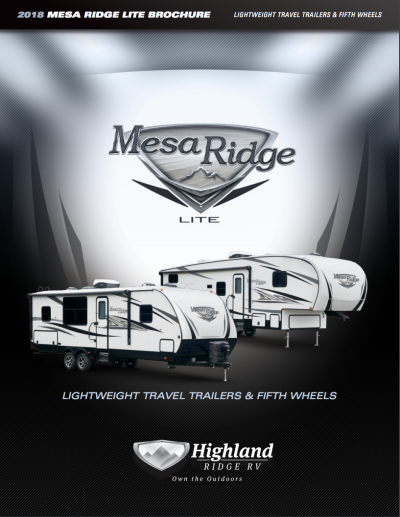 Go on an adventure with the 2019 Highland Ridge Mesa Ridge Lite MR2804RK! At TerryTown RV, you'll enjoy incredibly low prices on top quality Travel Trailer RVs! If you're driving to or through Grand Rapids, stop by and browse through our massive inventory at 7145 Division Ave S Grand Rapids Michigan 49548, or call 616-455-5590 to learn more about this model! It's easy to hitch up and go in your Highland Ridge Mesa Ridge Lite, thanks to the hitch weight of 675 lbs. and GVWR rated at 7675 lbs. You'll enjoy outdoor shade and comfort under the 20' 0" patio awning! 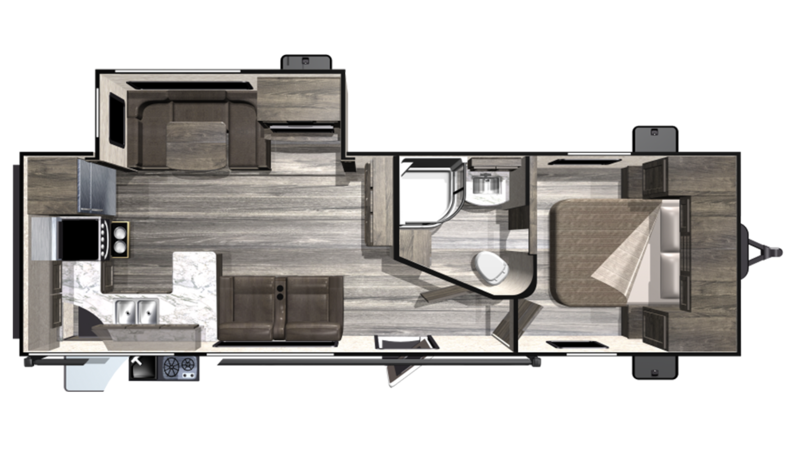 The whole family will enjoy the roomy, living comfort of the 2019 Mesa Ridge Lite MR2804RK, especially with the 1 slides that open up to optimize the interior space. At 31' 9" long and 8' 1" wide, there's room for everyone, and no bumping head because this Travel Trailer is 10' 11" tall! And when it's cold outside, you'll be cozy and warm inside, thanks to the 30000 BTU furnace. On the hottest days or nights, the 15000 BTU a/c unit will keep everyone cool and fresh! Not only will this RV give you fabulous outdoor fun every day, but the family will sleep soundly every night because this Mesa Ridge Lite sleep up to 4 people in cozy comfort! You'll especially love the luxury of the Queen bed in the master bedroom! 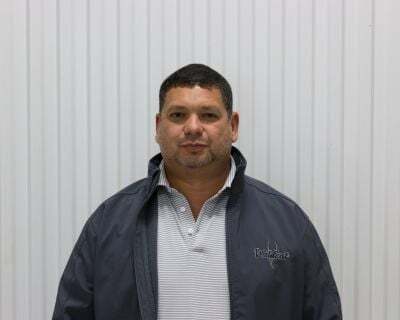 The 8.00 cu. ft. refrigerator can store enough food for plenty of tasty meals in the kitchen! Campground cooking is easy with the 3 burner range cooktop. Fill up the 51 gallon freshwater tank for clean water to drink, clean, and wash with throughout your travels! No one likes the hassle of trekking to the campground community bathroom. That'll never be a problem for you, thanks to this model's bathroom, with its convenient and sanitary Porcelain Foot Flush toilet! There is a 58 tank and a 29 gallon black water tank. The whole family can start the new day with a wash, a shave, or a shower without worries about running out of hot water, thanks to the 51 gallon fresh water tank and the ample 60 lbs. of LP tank capacity! Love to picnic with the family? Love to tailgate with brats, burgers, and dogs before the big game? You'll do both and more with the outdoor kitchen that comes in this Travel Trailer! Breakfast, lunch, or dinner, you'll never miss a moment of great outdoor family fun!